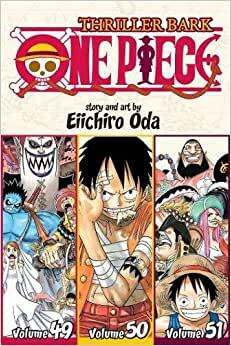 In a desperate battle against time and Gecko Moria, Luffy, Sanji and Zolo must win back their shadows before sunrise or else they will die! When Gecko Moria unleashes his devastating power of a thousand shadows, Luffy counters back with his “Gear” powers. But to save his crew, will Luffy have to make the ultimate sacrifice? My kid is very happy - he loves these books. inexpensive and they keep him entertained and away from the TV!